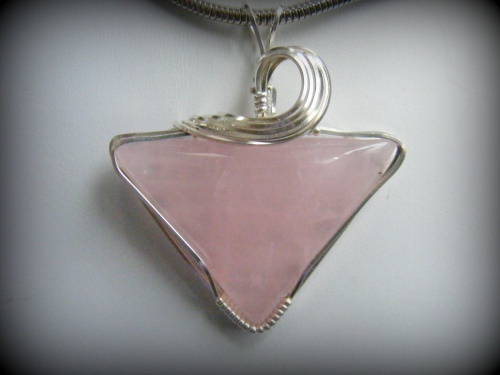 This beautiful rose quartz has a good pink color to it not as light as most. Sculpted with sterling silver swirl this piece makes a statement. Measures 1 1/2" wide by 1 3/4" from top of bail to bottom of piece. Comes with a sterling silver snake chain.